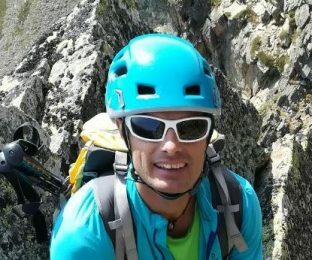 Patrick, an AGAMA certified alpine guide, will be glad to teach you and help you improve your ski touring abilities on this 2-day course in Andorra for all types of participants. Don’t miss this chance and join him in the Pyrenees! Improve your ski touring abilities in the company of an expert. Explore the amazing snow terrain of Andorra, in the Pyrenees. Take part of a program adapted to your level and preferences. Looking for a program to improve your ski touring abilities? This 2-day course in Andorra will be adapted to your level and preferences. Don’t miss this fantastic opportunity to explore the amazing terrain and incredible landscapes of the Pyrenees. We’ll focus on improving your technique to optimize the effort and prepare for future runs depending on your personal level and goals. We’ll work on coordination, positions, descents on steep and hard terrain, use of skins and crampons and general use of the equipment. First of all, we’ll meet in the morning and set your aims for the program. Then, we’ll start practicing outside and record a video so we can watch it and make corrections from it. Taking what we observed as a base, we’ll depart again in the afternoon and work on body positions and gestures. Finally, we’ll take another video to see the improvements. As I mentioned, the itinerary and the contents of the course will depend on your level and abilities. Therefore, it’s not necessary to be an expert or to have certain background experience. However, consider that it’s always important to be physically fit. So, does this ski touring course sound exciting? Then please send the request to book your place, and we’ll start making all the arrangements so you can learn and improve your skills on this program in Andorra. If you’re looking for ski touring adventures in Andorra, you can take a look at these programs that I lead in Pic del Form and Bony de la Pala de Jan in Ransol. Not included: personal insurance and personal equipment. Don't forget to bring: skis, boots, sticks, helmet, backpack, warming clothes, cap, gloves, ski mask, sunscreen, snacks and water.